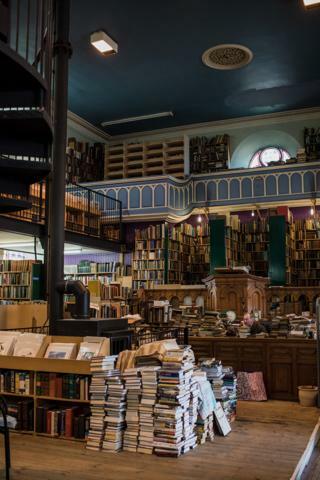 Scotland in Books is a photographic survey of second-hand bookshops, libraries, and private collections across Scotland by photographer Celeste Noche. In an increasingly digital age, the series documents the importance of the physical book - how people continue to make space for books, and conversely, how books create space for people. 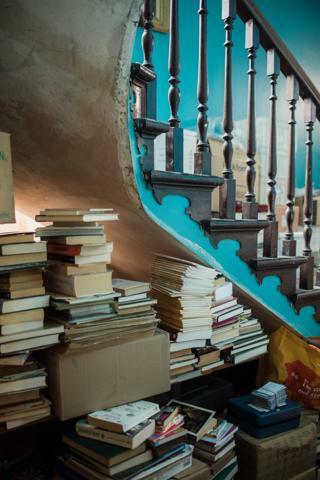 The front desk at Voltaire and Rousseau in Glasgow, where books overflow from shelves into piles on the ground around the shop. 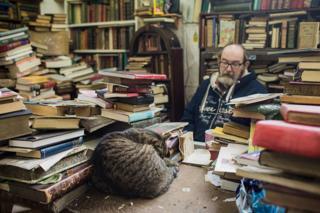 The owner, Eddie McGonigle, sits behind the counter while the shop cat, BB, sleeps. 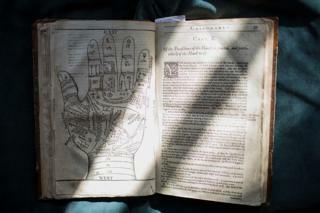 A 16th century book on palm reading at Innerpeffray Library, Scotland's oldest free, public lending library, founded in 1680. Although the library no longer lends out books, all books are available for viewing to the public and the Borrowers' Register holds a complete record of the locals who have borrowed from the library since its opening. David Buchan stands in front of his free lending library in Kinnesswood, Perth and Kinross. 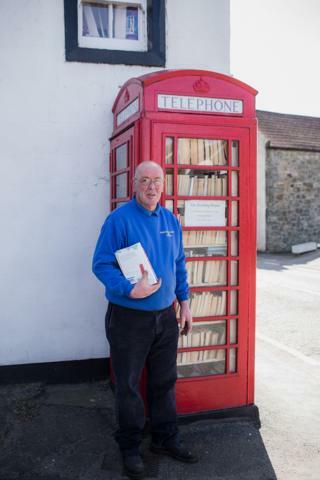 Upon learning that BT was decommissioning the phone box, he adopted it for £1 through the local council and converted it into a book exchange. 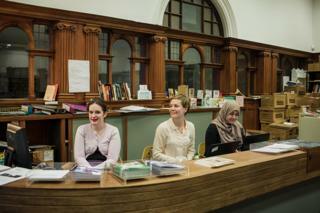 Volunteers Julie (left) and Houida (right), with volunteer co-ordinator Gabrielle Macbeth (centre) at the Glasgow Women's Library which specialises in books, music, and art by and about women. A total of 30 libraries closed in Scotland last year, up from 15 the year before. 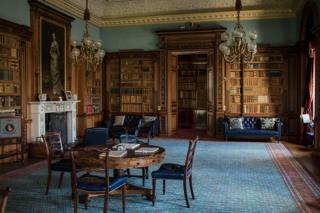 The libraries at Haddo House (above) and Castle Fraser (below), properties owned by the National Trust for Scotland. 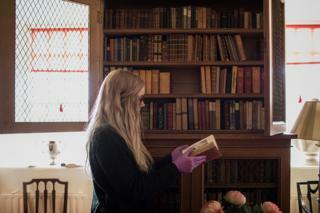 Some of the country's oldest formerly private libraries have been preserved through the National Trust and are available for public viewing and tours. 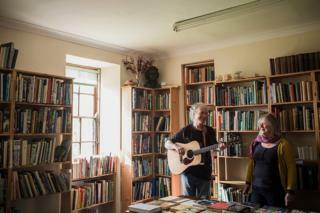 Booksellers Ian and Joyce Cochrane perform in their shop, Old Bank Bookshop in Wigtown. This year, Wigtown celebrates 20 years as Scotland's national book town. It is home to more than a dozen bookshops and its annual literary festival generates an estimated £3m for the regional economy each year. On the Isle of Skye, Celeste Noche fell upon Gilleasbuig Ferguson Books by way of a small sandwich board on the side of the road. 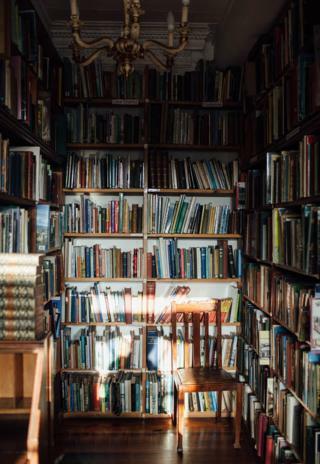 The bookshop itself is a bothy next to Ferguson's home, where he houses his collection of Gaelic, Highland, and antiquarian books. 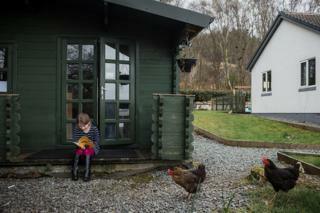 Here, his daughter Peggy reads a Gaelic children's book on the steps of Ferguson's bothy on the banks of Loch Snizort. Leakey's Bookshop in Inverness is based in a former cathedral. 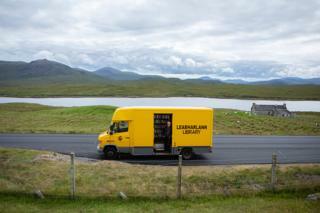 Mobile libraries play a critical role in the Outer Hebrides. All photographs by Celeste Noche.